Chris Skidmore MP has been appointed today as the Universities and Science Minister for the UK, days after his predecessor, Sam Gyimah MP, resigned over Prime Minister Theresa May’s controversial Brexit deal. Skidmore, a Conservative MP for Kingswood in south Gloucestershire who campaigned for Remain in the Brexit referendum, is widely viewed as a loyalist to May. From 2016 to 2018, Skidmore served as Minister for the Constitution in the Cabinet Office, and has subsequently served as Vice-Chairman of the Conservative Party. 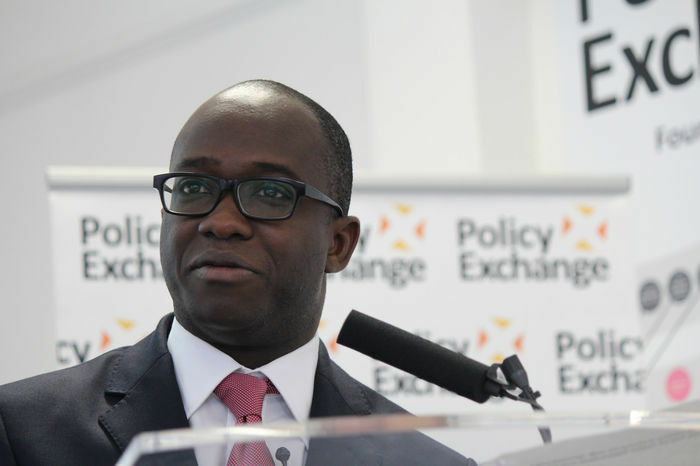 Gyimah, also a former remain campaigner, resigned from his ministerial position last Friday in response to the prime minister’s Brexit backstop deal that she hopes to push through Parliament next week. Skidmore’s appointment comes a fortnight prior to the release of the Office for National Statistics (ONS) review on the 17th December. This review will focus on the government’s treatment of student loans, particularly regarding whether it is justified to continue treating them differently to other public loans. “The minister comes in at a crucial juncture for higher education. We have the highest fees in the world, an admissions policy which embeds inequality and are suffering on the global stage because of a hostile environment and Brexit”, said the University and College Union's (UCU) National Head Of Policy & Campaigns, Mark Waddup, responding to the announcement. Student loans are unique in that they are written off thirty years after graduating. In the face of increasing financial losses resulting from a rising number of unpaid loans, the ONS review will consider whether these should be added to the government deficit to reflect the real cost of the current loan system. Separately, Skidmore’s tenure as Universities Minister will likely also see the release of the Augar review, forecast for early 2019, which will hone in on four key areas of post-18 education in the UK: choice, value for money, access and skill provision. The ‘value for money’ element of the review has proven the most contentious talking point of the review thus far, as it was reported last month that initial drafts of the review suggested major cuts to tuition fees, from £9,250 to between £6,500 and £7,500 per annum for home students. The Chair and chief executive of the Russell Group, the association of 24 UK public research universities, wrote in a joint letter, published last month in the Telegraph that universities would face a “funding crisis” if the UK government did not “cover the funding shortfall” of these cuts. They argued that cuts would place “support for disadvantaged students at risk” and that “some institutions would likely close”. The former Universities Minister, Gyimah, was understood to have been in favour of maintaining the amount of funding per student and the unit of resource, based on course costs, for universities in the event of fee cuts. However, this would require the government to commit to significantly higher spending of public funds in the higher education sector. Skidmore’s position on the issue not yet known. If plans to reduce university funding ever made it to parliament, there would be a risk of Gyimah joining a Conservative rebellion against the funding changes. Gyimah’s decision to resign was partly fuelled by the EU’s decision to freeze the UK out of the security development of its Galileo space programme, a global navigation satellite system (GNSS), prompting May to remove the UK from the programme entirely. More commonly known as ‘satellite navigation’, GNSS is relied upon by many industries, both public and commercial and it is specifically the development of military grade encrypted signals from which the UK would be excluded post-Brexit. Gyimah believes “Galileo is only a foretaste of what’s to come”, adding, “to vote for this deal is to set ourselves up for failure”. Instead, he argues that a second referendum and an extension to the Article 50 deadline would be in the national interest. The extent of Skidmore’s party loyalty might be put to the test next month when the Augar review is finally released.